While hiding out in Eastern Europe, Johnny Blaze (Nicolas Cage) must once again become the Ghost Rider when members of a secret church sect hire him to save a boy from Satan. 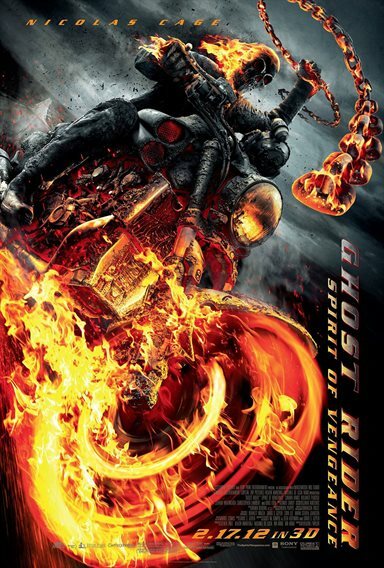 Download Ghost Rider Spirit of Vengeance in Digital HD from the iTunes store. Ghost Rider Spirit of Vengeance images are © Sony Pictures. All Rights Reserved. Nicolas Cage is back as the Ghost Rider; and after his 2007 original outing as Johnny Blaze, I didn't think I would be saying that. Johnny Blaze, the stunt rider who sold his soul to the devil in a pact to save his dying father and in return got cursed, has resided in Eastern Europe for the last five years. Five years of trying to repress the will of the demon that possesses him, and in truth, he seems to be doing a pretty good job until a wine guzzling monk who goes by the name of Moreau (Idris Elba) seeks him out to track down a young boy and save him from a kidnap gang led by Carrigan (Johnny Whitworth). The gang is in league with the devil (Ciarán Hinds). Moreau is part of an ancient religious order, who in return for Blaze's help, will give him the one thing in the world that he truly wants -- an exorcism and to be rid of his curse -- how could he refuse? It is not long before he is on the trail and after catching up with the boy, Danny (Furgus Riordan) and his Mother, Nadya (Violante Placido), things do not quite go to plan as he ends up in the hospital, and Danny is kidnapped. All through there is a tug of war with Danny -- Hinds wants him and needs him as Danny has a secret, one he knows nothing about. That is just one of a few secrets - Nadya has one also we later find out; and so does Johnny Blaze. However, in truth, none of these secrets add any spice to the movie; and it does need spicing up. The plot is weak to say the least -- maybe less so than the first Ghost Rider movie; but what it lacks in story, it gains in some black humour delivered at just the right time. Ghost Rider: Spirit of Vengeance is one loud movie with explosive car chases and fantastic special effects as normal for any super hero film. Acting wise, Cage is solid as you would expect and when Whitworth is playing Carrigan's alter ego, he is truly wicked; but star billing for me is Hinds as the devil living on earth instead of under it. There are a few shots where he looks pure evil. Spirit of Vengeance is not the best super hero film you will see this year, but it is the best Ghost Rider film out of the two. It won't win any awards, but it is worth going along for the ride. 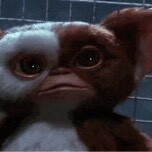 Missed in theater do checking out now.